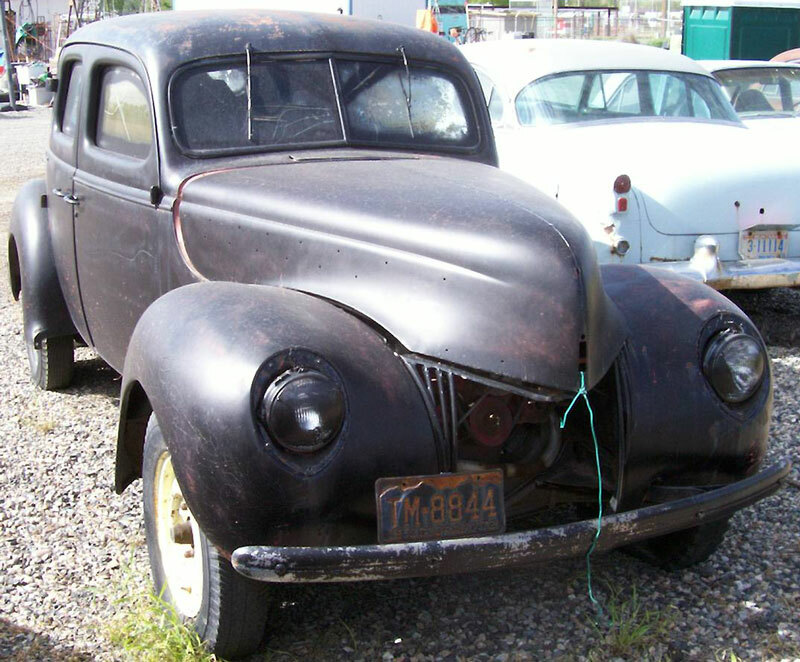 This black 1939 Ford Standard Eight Series 922A four door fastback sedan is a mostly complete body and chassis ready to be restored or customized. The car was originally Como blue. This model has front-opening rear suicide doors. The car has excellent solid western desert sheet metal. There is no grill, hood trim, headlight trim and right rear door trim. The running boards are off and inside the car and they have some dents. There are some dents in the back of the right front fender and in the right rear fender. The tan and black interior is mostly all there except the ash tray and glove box door clock. The dash and stock gauges are there. There are add-on gauges under the left dash. The seat cores are all there. 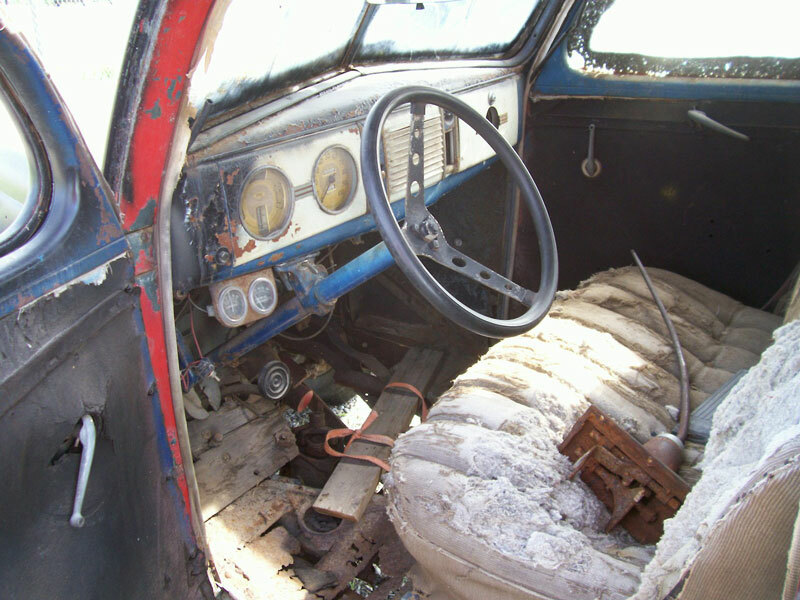 The steering wheel and steering column shaft are not stock. The front floors are rusted. The original 136 CID L-head 60 HP V-8 motor, radiator and three speed manual floor shift transmission are gone. 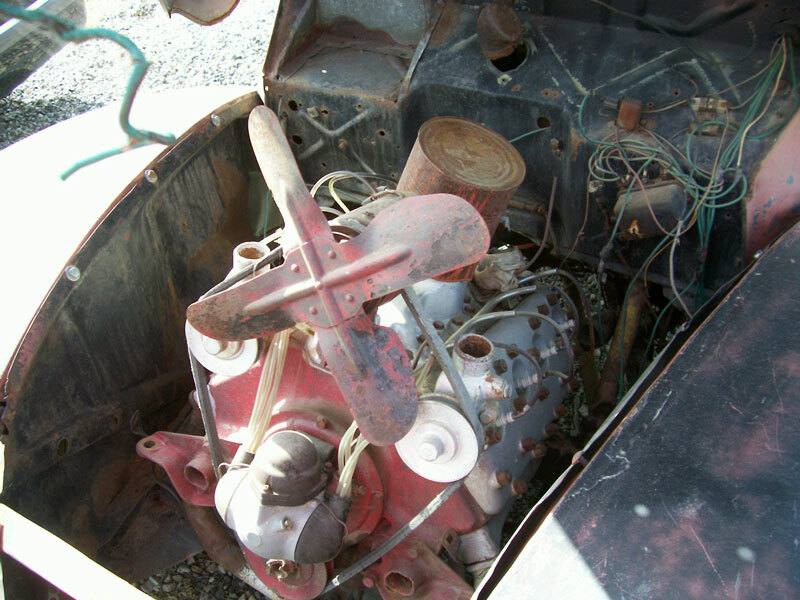 The later flathead Ford motor and transmission shown in the car are gone. 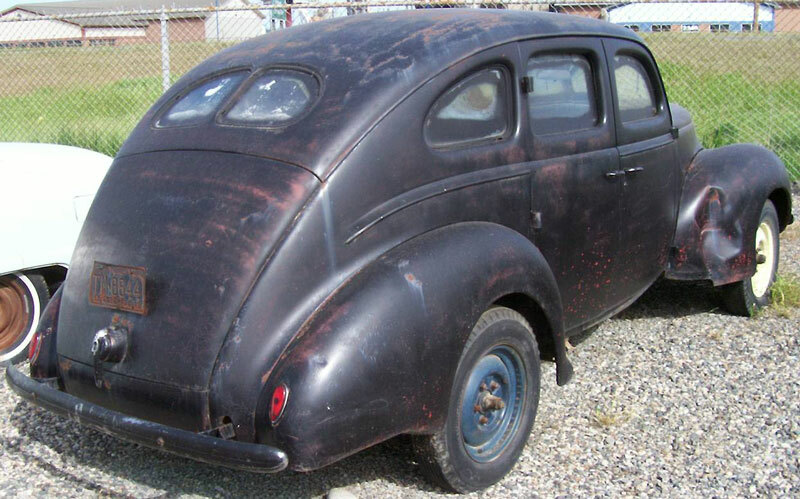 Do not miss this chance to build a 39 Ford sedan from dry western sheet metal. 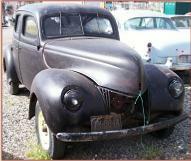 Please call (406) 318-0270 for details about this restorable classic 1939 Ford Standard sedan project car. Located southern California. For sale $2,800.